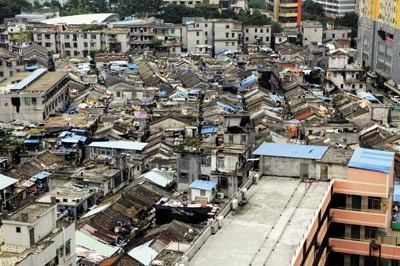 AFTER 20 years of discussion, Hubei Village in Luohu District is set to be demolished and rebuilt into a shopping mall. The 550-year-old village is a little-known place that is encircled by skyscrapers and is only 10 minutes walk from Dongmen Pedestrian Street. “The village is a very special part of the city. The cluttered, austere village is a mere walking distance from a Bentley dealership,” said Yuan Ting, a freelance photographer in Shenzhen. At a conference this month, villagers voted in favor of allowing the CRC group to rebuild the village into a large commercial complex featuring a mall, offices, convention and exhibition venues, a five-star hotel, a park and apartments. The history of Hubei Village can be traced back to the Ming Dynasty (1368-1644) when Zhang Huaiyue and his brother, Zhang Nianyue, moved to Shenzhen from Fujian Province to build the village between 1464 and 1487. 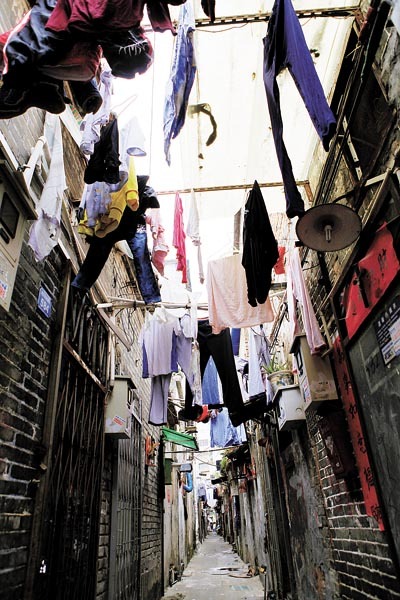 It is a traditional Cantonese village with an ancestral hall, gateways, a well, residential houses and 11 narrow alleys. The village boasts some of the most interesting architecture in Shenzhen. More than 200 ancient houses still stand in the village, all of which were built during the Ming and Qing dynasties (1644-1911). Yuan has been taking photos in the village for more than five years. “It is a dirty but happy place. Children play and run around the village. Neighbors chat while enjoying supper together. Many residents are reluctant to be photographed, but it’s worth coming here to observe the closeness of the community. The place takes us back to the childhood of our nation,” Yuan said. However, the village is not everybody’s idea of paradise. “There are no fire escapes, electricity, sewage system and other basic necessities. Many houses could collapse under little pressure, making it a dangerous place to be,” said Zhang Qixin, head of the village. According to the plan, more than 30 billion yuan (US$4.72 billion) will be invested in demolishing the village and building the new complex. A detailed plan of the complex has yet to be released. 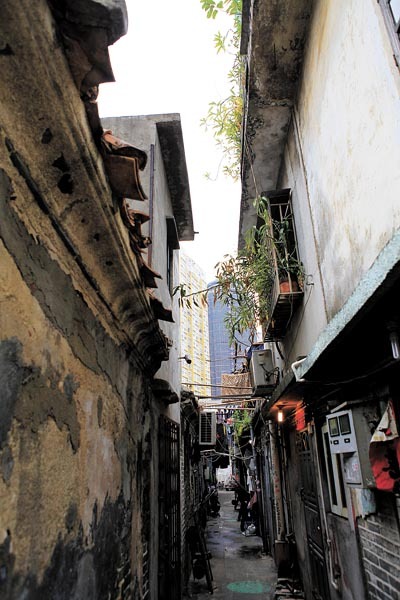 The CRC Group said it might keep one ancient building to remind people that Shenzhen has a longer, more interesting history than many people believe, said Zhang. The Zhang Huaiyue ancestral hall will also be relocated. “I do not approve of making the village another Mixc,” said Guo Xiangming, an architect and vice president of the Shenzhen branch of Harbin Institute of Technology Urban Planning & Design Institute. Although the village is not of much archaeological interest, it is an important part of the city’s cultural heritage. “First of all, it’s not just the village that needs to be rebuilt, much work needs to be done on the roads in the surrounding area as they are not equipped for the task of getting people to and from the mall,” Guo said. Moreover, the site is only one Metro station away from the Mixc, the KK Mall and the Kingglory Plaza, which casts uncertainty over the potential profitability of the shopping mall. According to plan, Shenzhen would have shopping malls with total floor space of 17.81 square kilometers in 2017, 95 times that of the Mixc. 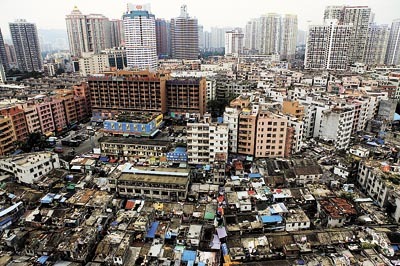 Shenzhen’s urban planning operates on the principles of efficiency and economic development. For this reason, culture and history have to take a back seat to the economy. This has to change and the city needs to explore new ideas, said Zhang Zhiyang, another architect in Shenzhen. “The OCT Loft is a successful example of combining culture with economic development. Vanke (developer of the estate) even brought an ancient house from another area to increase the project’s historical value. Hubei Village has similar value. It is a little dirty, but it can be upgraded to improve the living standards of the residents. With smarter plans, the developer could improve its reputation as well as increase its profits,” Zhang said. There have been many successful examples in China, such as the New Land in Shanghai and the Kuanzhai Alley in Chengdu, Sichuan Province. “The country’s most famous ancient towns, such as Lijiang and Dali in Yunnan Province and Yangshuo in the Guangxi Zhuang Autonomous Region are also successful examples,” he said. Urbanization in China has followed the examples of Western countries for years, such as that of highways in the United States. “When our cycling tracks were replaced with highways, we found that Western countries were by then promoting cycling tracks. When we were rushing to demolish the city’s historic buildings and replace them with shopping malls like the United States did in the 1960s, other countries had already gone past this. We should have more foresight. Otherwise, when we realize the folly of what we have done, it will be too late to get our precious history and culture back,” Zhang said.